The Giles Street extension project is now complete, linking Giles Street to the Saleyards Road industrial area via a new three-span, steel-reinforced concrete bridge over McGee’s Gully in Bairnsdale. Deputy Prime Minister and Minister for Infrastructure, Transport and Regional Development Michael McCormack said the $2.46 million project was one of several completed or underway in Gippsland. “The Australian Government has committed over $1.27 billion towards the delivery of vital transport infrastructure projects in the region, bringing many benefits to the local economy and community,” Mr McCormack said. Federal Member for Gippsland Darren Chester said the project had strong support from local businesses and would have long-lasting safety benefits for the region. “The project reduces the travelling distance between the industrial precinct and saleyards from 3.7 kilometres to 1.5 kilometres and provides heavy vehicles with a detour around the Bairnsdale central business district, making the area much safer for motorists and pedestrians,” Mr Chester said. 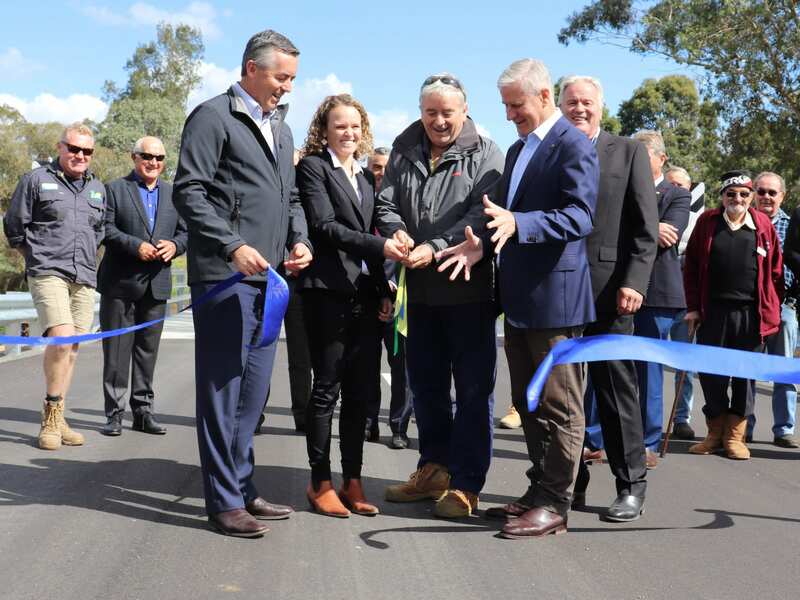 Mayor of East Gippsland Shire Natalie O’Connell said the new bridge and road extension had been eagerly awaited by the business community and heavy vehicle operators. “Not only does it provide an important link between two busy industrial precincts, but it will reduce travel times and encourage future development in the area,” Cr O’Connell said. It is estimated over 1,700 vehicles, including 770 heavy vehicles, will use the new route each day. The project was delivered by Tambo Constructions, which is based at Swan Reach. The Australian Government committed $588,500 to the project through the fifth round of the Heavy Vehicle Safety and Productivity Program, while the East Gippsland Council committed $1,871,500 through its Capital Works Program.